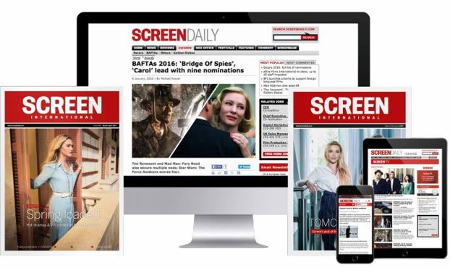 EXCLUSIVE: A decision on the sale of Alliance Films is expected within the next two to four weeks, company chairman Victor Loewy told ScreenDaily this week. The timing means that the identity of the winning bidder from a pool of three contenders is likely to become known either in the immediate run-up to or during the Cannes Film Festival. Loewy declined to name the trio of companies vying to acquire Alliance Films from co-owners Goldman Sachs Capital Partners and Investissement Quebec, although Entertainment One is understood to be in the hunt. “The two owners of the company are putting the company up for sale because that was the intention from Day One because both of these companies are financial players,” Loewy said as part of a longer interview with Screen that will run during Cannes. Back in January the Financial Times reported that Goldman Sachs Capital Partners, which owns roughly two-thirds of Alliance Films, and Investissement Quebec, the investment arm of the Quebecois government that owns the remaining share, were looking for a buyer. Investissement Quebec wants to divest itself of entertainment holding as it shifts its focus to natural resources, manufacturing and emerging technologies. Alliance Films owns UK distributor Momentum and Spanish distributor Aurum and presents a highly attractive proposition for a content-hungry buyer. Aside from the 11,000-title library and a successful track record as theatrical distributor in Canada, the company struck gold when it co-financed and distributed The King’s Speech in the UK and Canada. It also co-financed recent UK smash The Woman In Black with Cross Creek Pictures and Exclusive Media, while The Hunger Games has grossed more than $35m in Canada and is expected to reach $38m as a result of an output deal with Lionsgate, one of many high-profile suppliers with whom the Alliance leadership has partnered in recent years. A recent push into production has resulted in the Automatik joint venture with IM Global and a deal with Jason Blum’s Blumhouse Productions, among others.